Renzo Piano may have just turned 81, but the architect behind the iconic Centre Pompidou in Paris and The Shard in London remains full of creative energy, and is still very much involved in the Renzo Piano Building Workshop, which he founded in 1981. After the tragic collapse of the Ponte Morandi motorway bridge in Italy in August, the youthful-looking octogenarian immediately picked up his pencils to conceive a new bridge for his beloved hometown city of Genoa. Within two weeks, he had put forward a proposal that recognises the city’s maritime heritage and in a subtly poetic way honours the memory of those who had lost their lives — the shape recalls a ship set on 43 pillars, one for each victim, with the incorporated solar-powered lights emitting a pale halo at night as a permanent memorial. “When a bridge falls, it falls twice; it falls physically and it falls symbolically, because a bridge is a symbol of connection. That’s why the reconstruction is fundamental and I’m trying to do what I can. My hope is that this moment of construction will become a moment of pride again,” Piano says. Though he won the highly prestigious Pritzker Architecture Prize in 1998 — with the jury comparing him to Michelangelo and Leonardo da Vinci — Piano dislikes the starchitect portmanteau and often simply refers to himself as a builder. His practice has long focused on public buildings, in particular cultural ones. 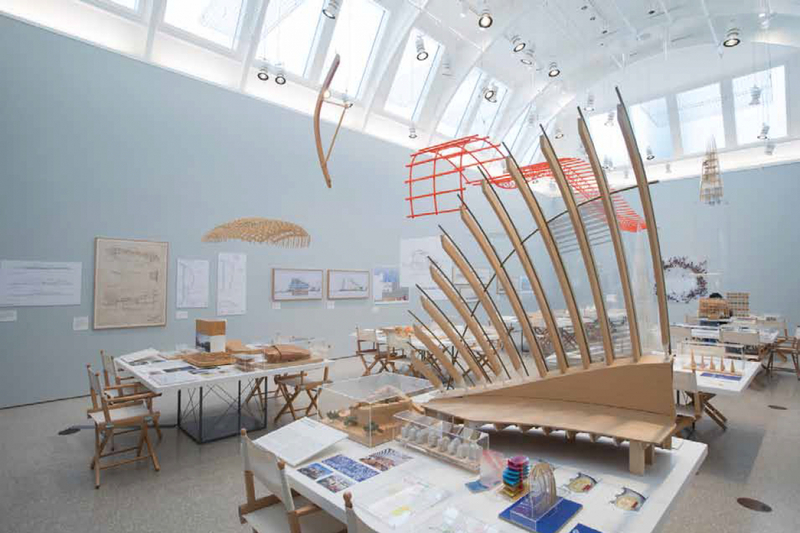 Kate Goodwin, curator of architecture at the Royal Academy of Arts in London, points out that one thing that differentiates the architect from many of his peers “is that there isn’t a single Renzo Piano style; rather, there are things he returns to. It feels like a Renzo building, but not because of the form; it’s because of certain things that come about. His buildings continue to surprise.” However, Goodwin, who co-curated Renzo Piano: The Art of Making Buildings, an ongoing exhibition at the Royal Academy that will run till January 20, 2019, adds that there is still a clear red thread throughout the Italian architect’s output: his search for light and weightlessness. Piano has often said he sees architecture as much more than building; to him, it combines poetry, beauty, community and humanism. Architecture is “the art of answering needs, as well as the art of answering desires”. Born in Genoa to a family of builders, Piano remembers growing up either looking at the sea or sitting at a building site. These early experiences had a profound influence on him, instilling a fascination with light, a love of beauty and nature, and a thirst for adventure and discovery. He has compared some of his buildings to flying vessels, wanting to elevate them from the ground and create space beneath where people can congregate. His designs have also often sought to ‘sculpt light’, be it in finding innovative methods to diffuse natural light over an art collection (such as the Menil Collection in Houston) or angling a roof so a new building does not cast a shadow over a city park (Aurora Place in Sydney). In 1971, Piano and his then partner Richard Rogers beat 680 other bids with their audacious proposal for Centre Pompidou. Their revolutionary inside-out concept — with a hint of nautical influences — created a novel space configuration for a museum that aimed to democratise the museum-going experience, breaking down the monumental and intimidating designs that had up until then been standard features associated with museums to create a completely open space, accessible to all. Piano admits with a laugh that the project was “completely mad, like a spaceship had landed in the middle of Paris”. The Renzo Piano Building Workshop currently has two major buildings under construction in the region: the headquarters of apparel brand JNBY (above) in Hangzhou, China, which is part of a ‘superblock,’ a 250,000-sq-m semi-private gated community, and the 52-storey Fubon Group Xinyi Headquarters (top) in Taipei, Taiwan, a mixed-use tower that incorporates a five-star hotel and a museum of contemporary and modern art.